Click above to view our monthly spotlights. One of ALA’s goals is to increase diversity in the Association, in the legal management community and in all legal service organizations. As a result, ALA launched the ALA Diversity Initiative - designed to increase awareness of and sensitivity to the differences among our workforce and to advance the concepts of inclusiveness and acceptance. To meet these goals ALA has created leadership panels, educational venues and programs. The ALA Diversity Task Force originally developed the Diversity Toolkit to be used as a guide to assist in implementing and maintaining diversity initiatives in legal organizations. ALA’s Committee on Diversity recently revised the Toolkit which is now interactive and designed to allow users to more seamlessly select which resources best fit their organization. Visit the ALA Diversity resources link. Few areas in the United States are as diverse as South Florida. As a gateway to Latin America and the Caribbean, our community is home to a multi-lingual, multi-ethnic culture that enriches the daily lives of all of our residents. The administrators of law firms must be adept at recognizing and capitalizing on the richness found in the diversity of their staff and they must understand that many of their firm's clients have a personal understanding of the economies and cultures of not only the principal nations of Latin America, but also the Caribbean basin. There are an estimated 500 multinational headquarter units in Miami, many of which are here for the sole purpose of reaching Latin markets. Our chapter is committed to the goal of strengthening our diversity through recruiting and retaining members from all backgrounds. Our commitment is consistent with our recognition that it is the outstanding people within our membership who have always been the source of our strength. We, along with our member firms, have long embraced the principles of equal employment opportunity. We further recognize that promoting diversity is an integral component of our continuing quest for excellence as an outstanding professional organization. • Development of educational programs to enhance our members’ participation in diversity and inclusion initiatives and practices within their firms and their personal lives. 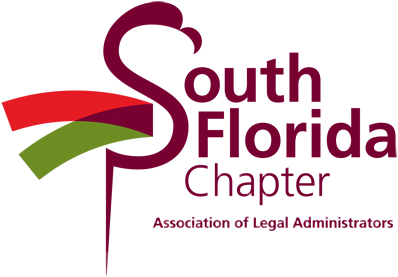 • Participation in opportunities in the community to explore diversity and inclusion initiatives underway with bar and other legal associations, member firms, schools, and minority organizations that share this common objective. • Improvement of the level of diversity and inclusion within the chapter’s leadership positions, committees and recruitment efforts.